A new artist on Gomma! Coming with his single: Barotti, a musician and multimedia artist based in Berlin. After working for years mainly on sound installations and performing arts, Barotti will release his debut album Rising in the end of 2015. Barotti has created an own genre of music. Magic, organic soundscapes. Mixing the electronic with symphonic parts. Working with a classical orchestra as well as rare vintage synthesizers. Barotti's songs are difficult to describe. His low voice, the mystic atmospheres, raw and glamorous at the same time. You can put Barotti's music somewhere between Woodkid and Sohn, adding more influences from the last 200 years of classical music and the distorted electronic aestheticism of Funkstörung and James Blake. The album was recorded in Casablanca and Berlin. 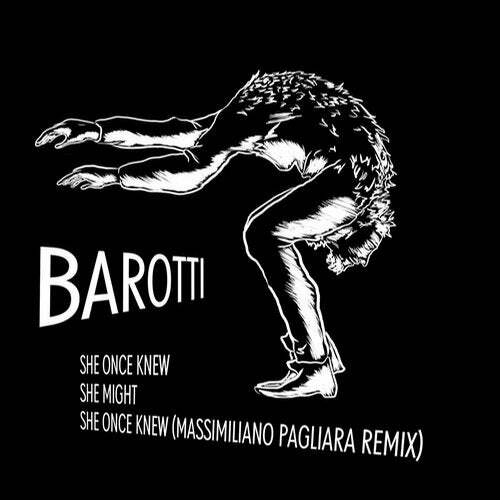 She Once Knew was remixed by Massimiliano Pagliara.